The Supreme Court has struck down key provisions of Arizona's crackdown on immigrants. 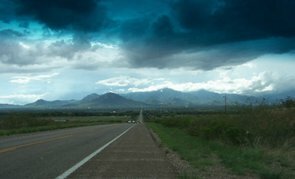 Following Monday's decision by the U.S. Supreme Court on the provisions of Arizona's immigration law, Fronteras: The Changing America Desk broadcast a one-hour special. Did SCOTUS Get SB 1070 Right? We'd like to hear your thoughts. Did the Supreme Court make the right decision regarding SB 1070? The U.S. Supreme Court’s decision overturning key parts of SB 1070 was no surprise to some Arizona border residents. But the question remains: How will the U.S. enforce the law at the border? A look at how the U.S. Supreme Court ruling on Arizona's immigration law will impact the state’s economy and police agencies. Arizona SB 1070 on Dipity. A timeline of major events related to Arizona's SB 1070 law. Read the U.S. Supreme Court's ruling on SB 1070, Arizona's controversial anti-immigration law. Groups interested in the outcome of Arizona's immigration Supreme Court case have outlined their arguments. The architect of Arizona's SB 1070 will testify before Congress this week, the day before the immigration law goes to the Supreme Court. Arizona officials argue they are responsible for stopping illegal immigrants when they enter the state. Officials from Washington D.C. contend enforcing immigration laws is the federal government's responsibility. 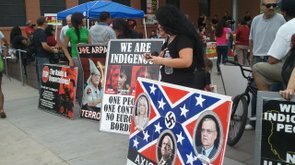 Hundreds of people marched in downtown Phoenix on Wednesday afternoon in protest of SB 1070. A new Merrill/Morrison Institute Poll from Arizona State University shows that 73 percent of registered voters in Arizona support or strongly support a path to citizenship for undocumented immigrants. Can You Spare A Buck For A Border Fence? The plan is to raise millions of dollars through private donations - in part through a website - to build a more secure fence along the U.S.-Mexico border in Arizona. It's still unclear exactly where the barrier will go. 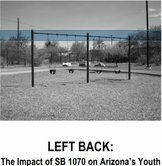 A study finds that even though the majority of SB 1070's provisions were not enacted, it caused some migrants to move out of Arizona, and they often left their children behind to finish school. 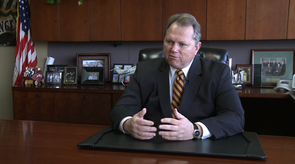 Is Immigration Enforcement A Local Issue? Ever since Arizona's controversial SB 1070 became law, other states and cities have tried to copy it. But few have defied both state and federal laws like Escondido in enforcing immigration laws. The U.S. Supreme Court will hear arguments April 25 in a controversial immigration case - Arizona's SB 1070. Supporters say the law has achieved one of its goals: Thousands of illegal immigrants have left on their own. So-called self-deportation laws aim to make a place so difficult for unauthorized immigrants that they leave or “self-deport”. 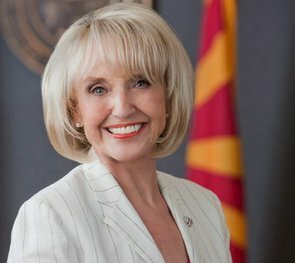 Arizona has passed several laws and initiatives in this vein. In spite of them, data show many unauthorized immigrants have found a way to stay. The U.S. Supreme Court is set to review the controversial law, which sparked similar legislation in Alabama, South Carolina and Utah. Some political observers say the debate over states' rights and immigration reform is likely to shape the discourse in upcoming campaigns. 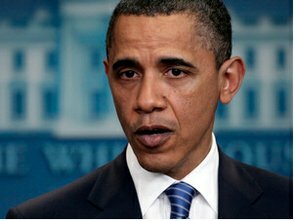 In 2008, President Obama largely ignored the home turf of his opponent, John McCain. His campaign says 2012 will be different. For years, Arizona's immigration-enforcement charge has been led by senior lawmakers. 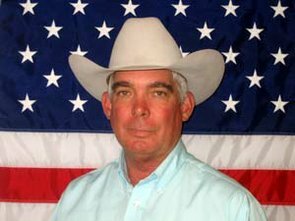 Lately, many of the most aggressive immigration bills were crafted by freshman state Senator Steve Smith. 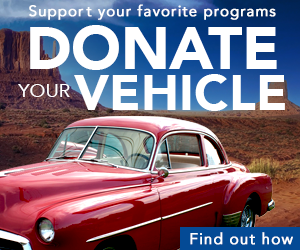 Now, he’s leading a fundraising campaign to use private donations for a new border fence. 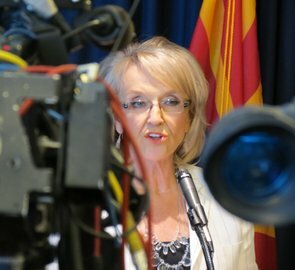 Supporters and opponents of Arizona’s anti-illegal immigration law battled at a congressional hearing Tuesday. As Arizona continues to battle with the federal government over immigration policy, some cities are stepping up to make a statement of their own. Democrats in the state legislature say it's time to repeal the law. Their Republicans counterparts pledge to block any attempt at changing the controversial law. 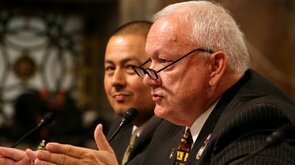 Arizona Senate President Russell Pearce helped enact tough laws enforcing immigration regulations on a state level, including the controversial SB 1070. Some voters think it went too far. With Pearce Out, Where Does The Immigration Debate Go? The recall of Arizona State Senator Russell Pearce could lead to a discussion about immigration focused on solutions instead of rhetoric. Members of the Tea Party say there are others to carry on the cause. 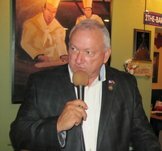 Just months after he lost his seat in a recall election, Russell Pearce announces he will run again for state senate. 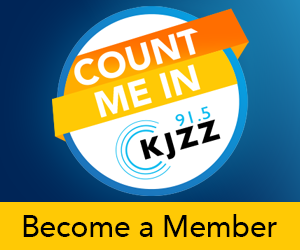 He said he will run in a newly drawn, yet still conservative, district in Mesa. Inspired by Arizona's strict immigration enforcement law, a California assembly member has introduced a similar bill in the Golden State. A Kansas State Representative has introduced a resolution modeled after the Utah Compact, both of which are aimed at changing the tone of the immigration debate. The head of the American Civil Liberties Union in San Diego says he and his staff helped craft the lawsuit against Arizona's controversial new immigration law. 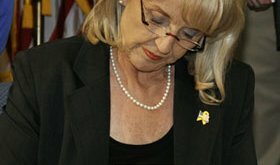 The ACLU and other civil rights groups sued all Arizona counties and sheriffs on Monday arguing the law is unconstitutional.